On this day in July 2015, in the Canadian province of Saskatchewan, there were 118 active forest fires burning. They had already destroyed 400,000 hectares. An average year sees about 30,000 hectares destroyed, so this was not a typical year for forest fires. Many of the towns in the north had been evacuated, but in the south and central parts of the province the problem was smoke. There were many health advisories as thick smoke drifted south across the prairies and into the northern states of the USA. At times, this smoke became so thick it turned day into night. I have experienced heavy forest fire smoke in other parts of Canada and knew firsthand the health dangers it can present. 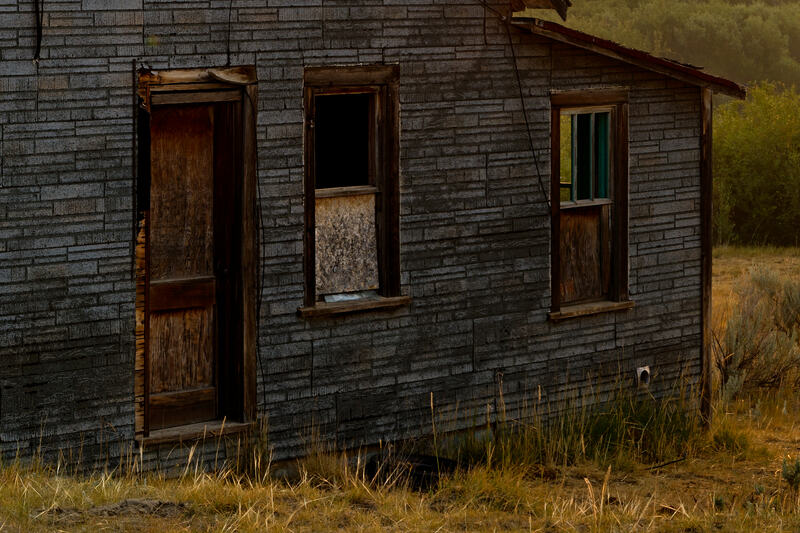 But I also knew the amazing photographic opportunities it can present, as well. I have seen the sun at noon so obscured by smoke that it appears as just a red ball in the sky, easily viewed directly with the naked eye. 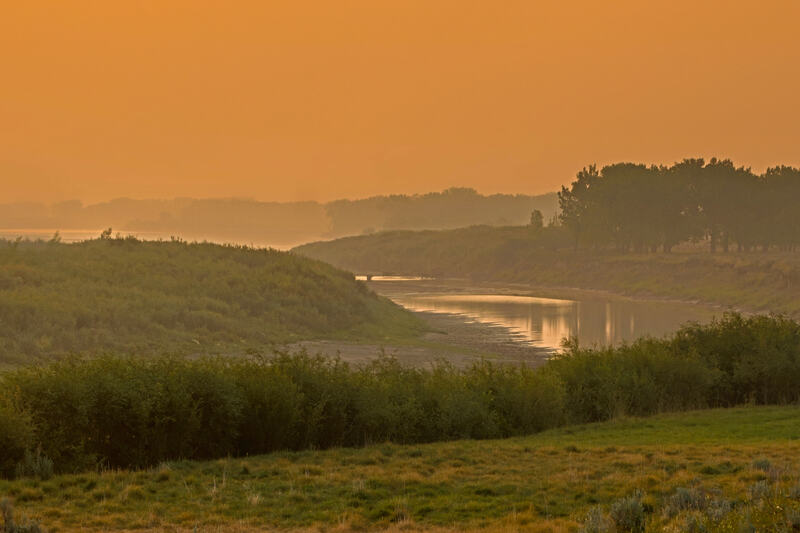 I had already planned to leave for several days of photography in central Saskatchewan, about a five-hour drive from my home, when I heard the news of the problems with the heavy smoke drifting towards my destination. I did not change my plans other than to pack my particulate respirator as part of my photography kit. 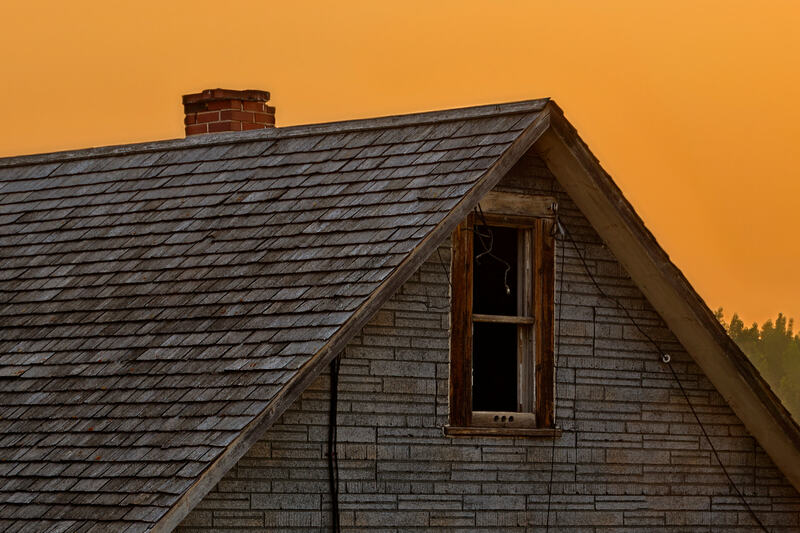 I knew from experience that, even on a cloudless morning, smoky haze low on the horizon can transform sunlight into a lovely soft orange glow that stretches for miles. 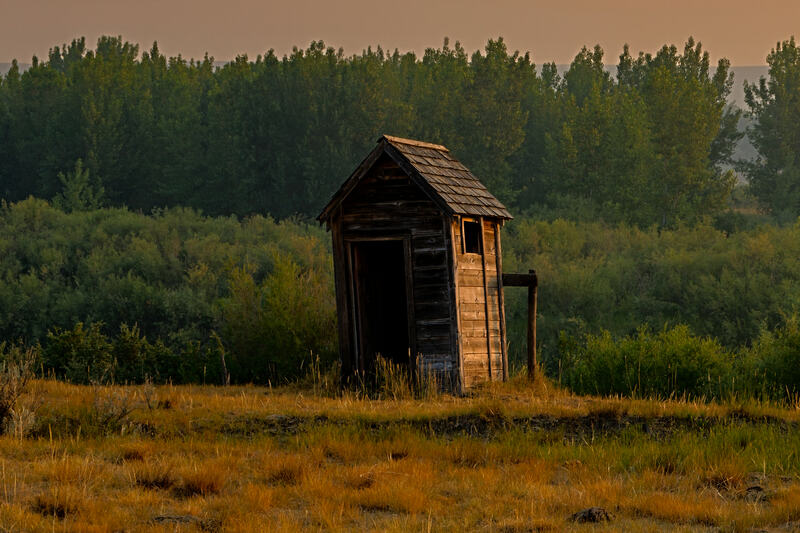 Such was the case on this early morning when I set up the special equipment I needed to create this VAST photo in front of an old abandoned homestead along the South Saskatchewan river. Once the sun was above the horizon, it started to illuminate all the heavy smoke that lingered above the river, creating a wonderful glow. 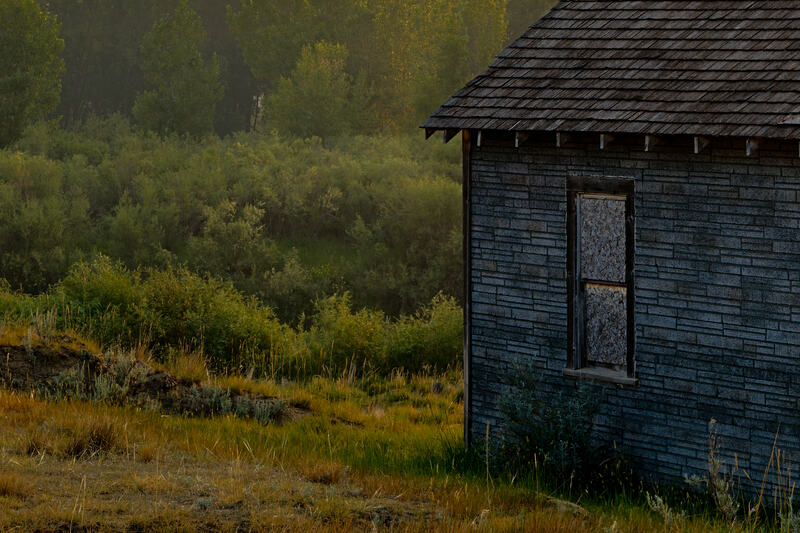 This allowed me to capture a special, once-in-a-lifetime image of radiant splendor surrounding this old property and its accompanying outhouse. Unfortunately, the one photo I forgot to take over those few days was a self-portrait of me working behind the camera while wearing a respirator! 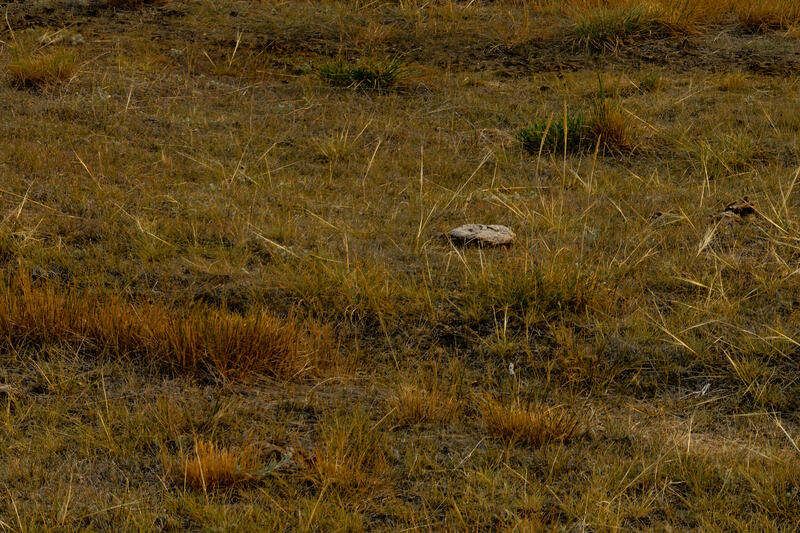 This 220-megapixel VAST photo is one of the highest definition photographs ever created. It has a resolution equivalent to 106 HDTVs.